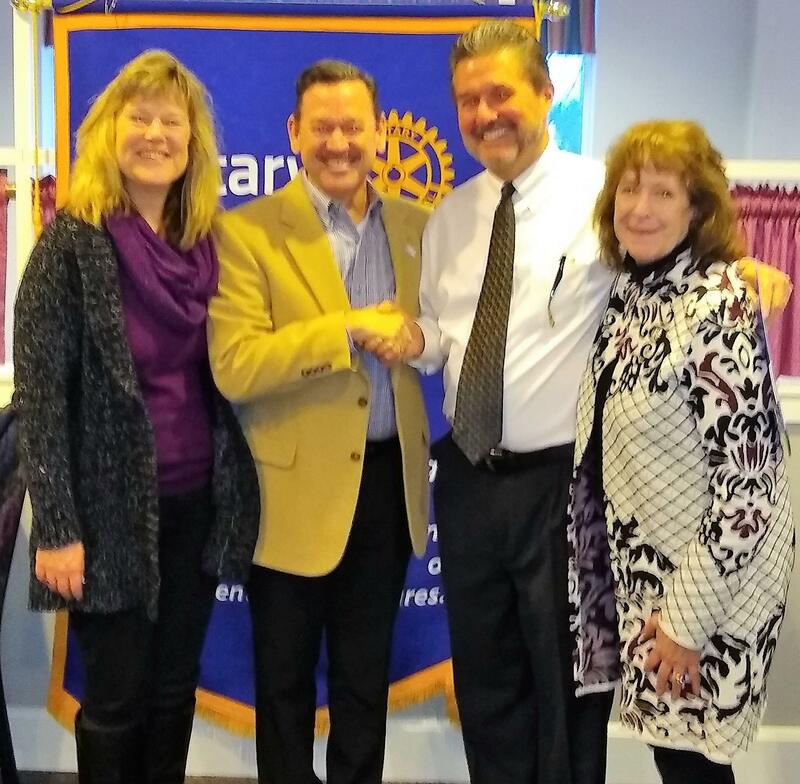 Dr. Shail Jain, President of Medina Sunrise Rotary, welcomed community leader David Vogelgesang into the Medina Sunrise Rotary Club this morning in a formal induction ceremony officiated by Rotary District Governor Beverly Ghent-Skrzynski, Assistant Governor Kevin Wermer and Membership Co-Chair Jeff Hill. "We welcome David, who began as a Rotary Youth Exchange Student himself over 40 years ago and who will now join over 1.2 million Rotarians serving together in 200 countries around the world and here in our own community to promote peace, freedom and understanding." Along with David's induction, Jacob Scharnweber, our Rotary Youth Exchange Student from Germany who was hosted by the Vogelgesang Family, was presented with his Medina High School Letterman's jacket (Golf) by Kevin Wermer. Kevin serves both as Assistant Governor and Youth Exchange Counselor.